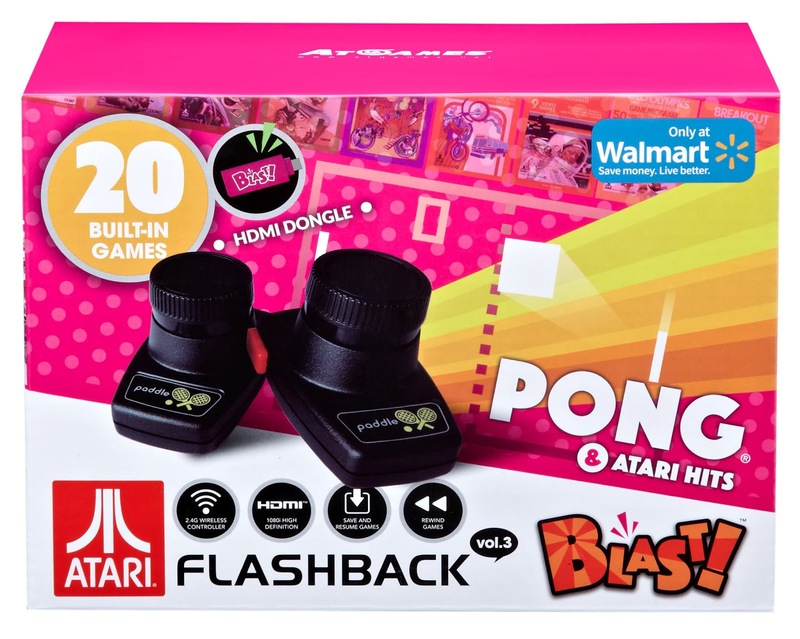 Atari recently announce additional hardware improvements to the Atari VCS. It appears that the Atari VCS team is now listening to the fans worldwide that have wanted more information about the upcoming system, and are releasing more frequent information on the development of their next console. Today, we take a look at the latest changes, and give our opinion. 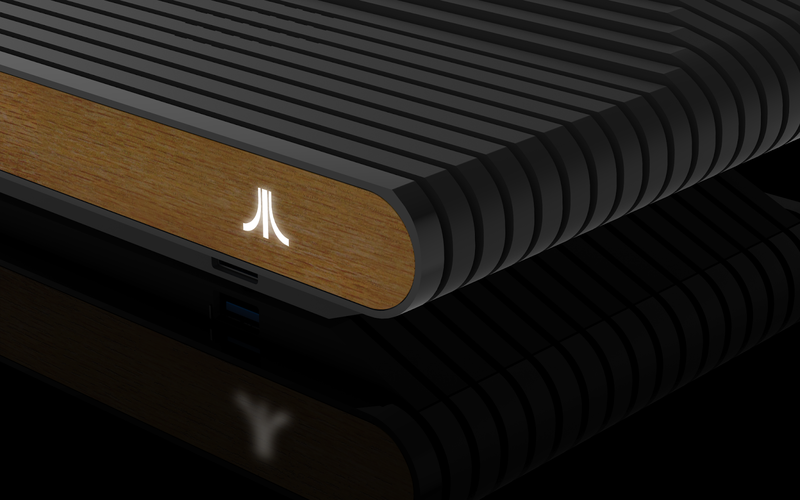 After the announcement of a change to the AMD Ryzen chipset, and a push back of the release of the Atari VCS, some questioned what might be next for the development of Atari's new console, and what other changes might be in the future for this project. The latest changes are not only cosmetic, but functional as well. When looking at the new design, the first thing that jumps out is the added riser underneath the main body of the unit. The console previously sat flat on the surface, but with the additional riser, the system floats above the surface, very similar to the original Atari 2600/VCS. The most apparent functional change due to the added riser, is the two USB ports that were moved from the back of the unit, and placed on the front face of the riser, leaving two of the original four USB ports on the back of the unit for additional USB devices. This is a great move for functionality, as a USB controller, mouse, keyboard, drive, etc. can be plugged into the front of the unit. The previous design appeared to be focused toward wireless controllers only, as the four USB ports were in the back of the unit. Another small design change was the removal of the SD card slot that was in the back of the original Atari VCS design. With two USB ports in the front of the unit, and two USB slots on the back panel of the unit, the Atari VCS team decided that an additional SD card slot was a bit redundant, and the four included USB ports should be sufficient for users functionality use cases. Outside of the possible ability to remove the SD card from an Atari Flashback Portable or 9 console, and inserting the SD card into the Atari VCS packed full of Atari 2600 games, we really can't think of any reason why the removal of an SD card slot would negatively impact users. The original Atari VCS design included a red illuminated LED Fuji logo on the face of the unit off to the right side. The VCS team has decided to change the color of the Fuji logo to white, which we at Atari Edge like for several reasons. First, with technology, red illumination is always used to signal an error. To someone opening up the box and hooking the console up for the first time, seeing a red light on the front of the unit could automatically trigger the thought that something is wrong with the unit. This could lead to a bad user experience from the very start. Humans are creatures of habit, and because of that, we think the white illuminated Fuji logo is much more appealing, and gives a better feeling when turning the system on for the first time. The second reason we like the white logo over a red logo is the Atari VCS team have decided to give the user error codes, wifi status, etc. 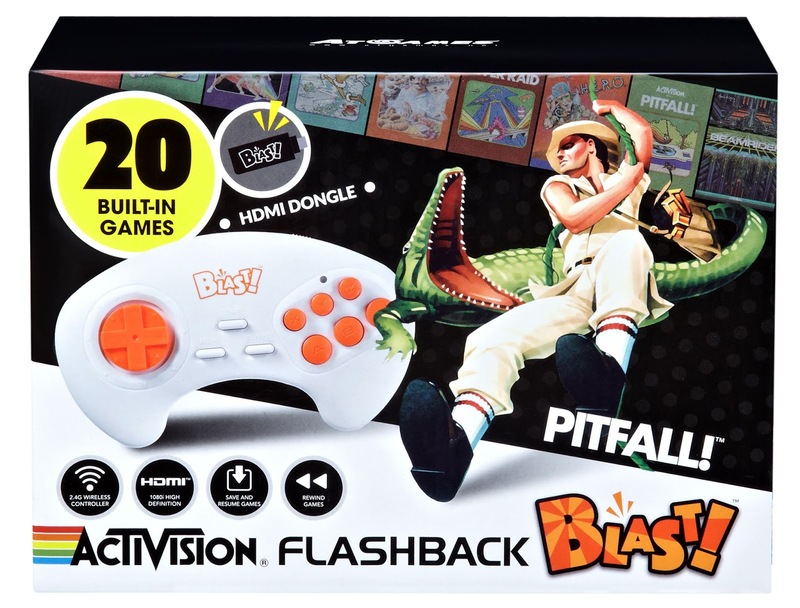 by combinations of blinks with the logo, which as previously mentioned, humans are creatures of habit, and as Atari mentions, this lines up with the functionality of other consoles. The original design included 16 levels that were to be assembled as a “Ribbed-Sandwich”. 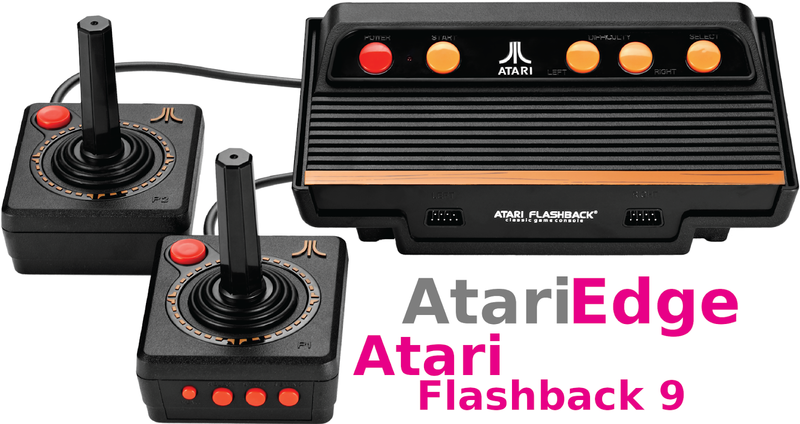 Atari has realized the cost and issues with manufacturing the units in this manner, and have made design changes to positively impact the manufacturing of the unit, while keeping the original look and feel of the unit. With a huge and successful pre-sale campaign, making design changes while keeping the original look of the console is very important to the success of the Atari VCS, as well as the consumer view of Atari as a company. With the new, more simple, two piece body design, there is far less chance of manufacturing errors as was with the original 16 piece design, allowing the manufacturing process to be not only faster, but more streamlined, with likely less flaws to the end product rolling off the assembly line. The new dimensions of the unit announced by Atari are Width: 12.3", Depth: 5.9", and Height: 2.0". Outside of the removal of the SD Card slot, and the movement of two of the USB ports to the front of the unit, the back panel of the Atari VCS stays relatively unchanged. 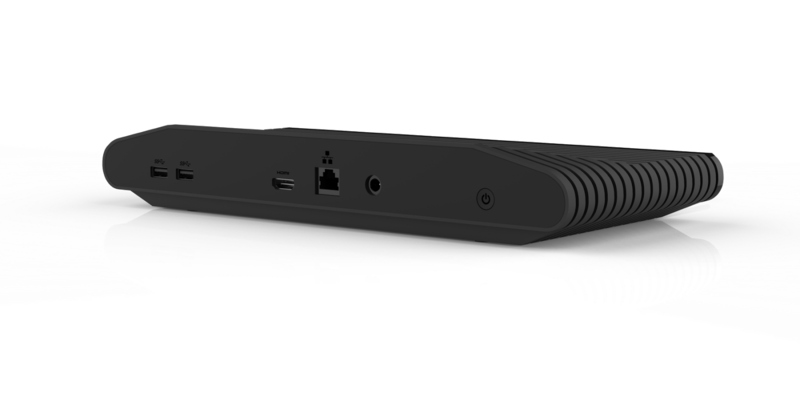 On the back of the unit, there is the additional two USB ports, and HDMI port, Ethernet port, power plug, and power button. In future updates, the Atari VCS team states that they plan to discuss additional improvements, the Classic Controller, Modern Controller, user interface, as well as one of the most anticipated and talked about subjects surrounding the console, game and media content partnerships. They will also dive into additional subjects such as developer tools and distribution plans. Overall, the latest updates from the Atari VCS team not only explain some great cosmetic and functionality changes, but also give consumers an idea of where the project is headed, as well as what to expect in future updates. 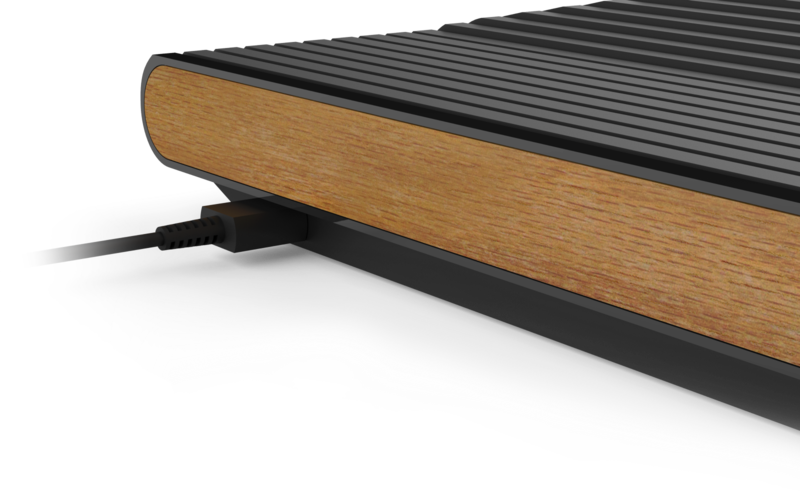 Making changes to the design and functionality of the console, but keeping the look of the original Atari VCS design that fans worldwide expressed incredible positive feedback for is an important factor that we at Atari Edge are glad to see Atari taking seriously.